Designated Space Vehicle Number 65 (SVN-65), the spacecraft will assume its position in slot 1 of plane A, replacing SVN-39. 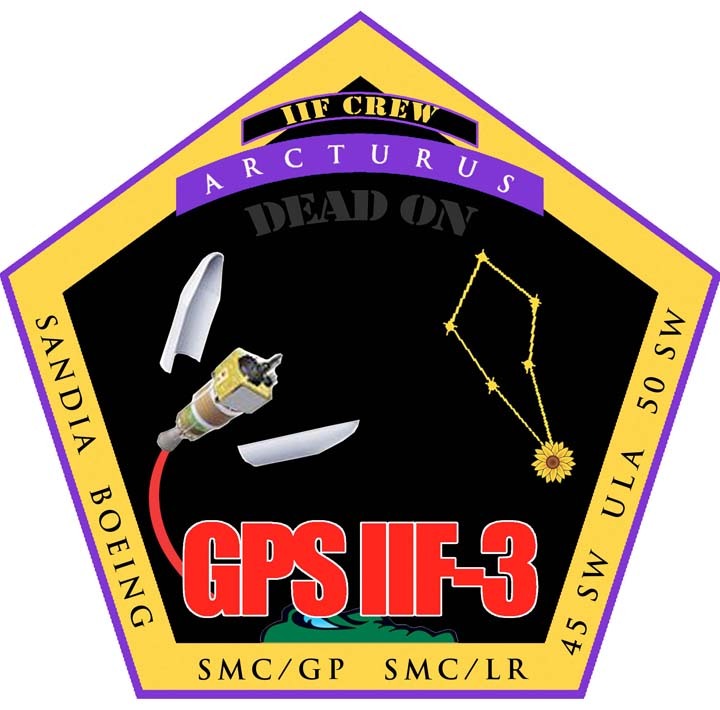 The latter satellite will be moved to another auxiliary position of the GPS constellation, according to the U.S. Air Force Space & Missile Systems Center (SMC) at Los Angeles Air Force Base, Calfornia. 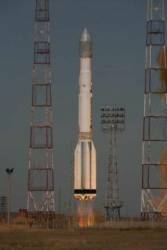 SVN-65 is expected to be set healthy for navigation users approximately 90 days after launch to conduct an extended navigation signal test. "We, of course, are incredibly pleased with the successful outcome of today’s launch,” said Col. Bernie Gruber, director of the SMC’s Global Positioning Systems Directorate. “Thanks to the tireless efforts of the 45th and 50th Space Wings, United Launch Alliance, our industry partners, and the Delta IV and GPS IIF launch teams, this morning’s launch was flawlessly executed. 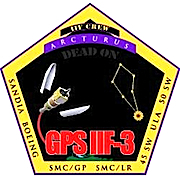 The talented group of individuals carried out the GPS IIF-3 mission with great diligence and professionalism." The launch also paid tribute to a Capt. Vivian Elmo, a former 19th Space Operations Squadron member at Schriever AFB, Colorado, who died during a two-car accident last year. For each launch mission, SMC develops a launch patch that represents significant events or details of the launch story. The mission patch for this IIF satellite launch pays tribute to Elmo, with the launch patch depicting the navigation star, Arcturus, as a sunflower, Elmo’s favorite flower. "Arcturus is the brightest star in the northern celestial hemisphere and the dominant star in the constellation Boötes," said Maj. Linda Gostomski, 19 SOPS flight operations commander. "Prehistoric Polynesian navigators used the star for traveling across the seas and knew Arcturus as the ‘Star of Joy.’"
Gostomski said it’s fitting that Elmo receives this kind of tribute. Elmo worked as the 50th Space Wing satellite vehicle operator director for GPS IIF-2, which successfully launched July 16, 2011. 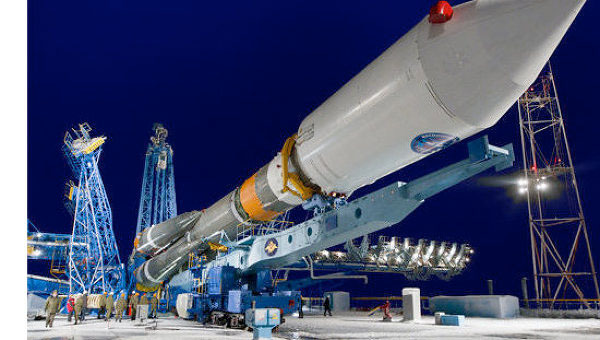 Elmo also played a critical role in the first successful IIF-1 launch May 27, 2010. Outstanding team performance and efficient approaches for enhancing mission capability displayed throughout the launch preparation process earned Elmo and her team the 2010 Chief of Staff Team Excellence Award, according to Gostomski. Since its inception, GPS has progressed from an idea, to a prototype, into a reality, Gruber pointed out. The new capabilities of the IIF satellites will provide greater navigational accuracy; a more robust signal for commercial aviation and safety-of-life applications, known as the new third civil signal (L5); and a 12-year design life providing long-term service. Other upgrades improve anti-jam capabilities for the warfighter and improve security for military and civil users around the world.